Jihee Lee returned for her third trip to work with Kip. She had really struggled with her game and after starting to work with Kip has won twice in her last two years on the Japanese LPGA Tour. J.J. Spaun after finishing 3rd on the Web.com tour starts his season with two top tens in back to back events at the Farmer’s Insurance Open and Waste Management Phoenix Open. 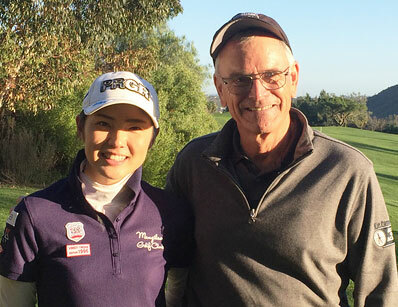 Japanese LPGA Tour player, Rei Tsuji, stopped by for a few days to work on her game with Kip! Jason Puterbaugh’s student Alana Uriell wins UTSA Maryb S. Kathy Invitational with rounds of 65-68-71! Uriell’s last 10 of 12 rounds have been under par. Uriell’s tournament total of 204 ties the tournament record! Alana also won the LPGA Monday Qualifier during the summer, shooting a 7 under 64 and blistering the field by 5 stokes. She carded 6 birdies and an eagle on the final hole, qualifing her for the NW Arkansas Championship! 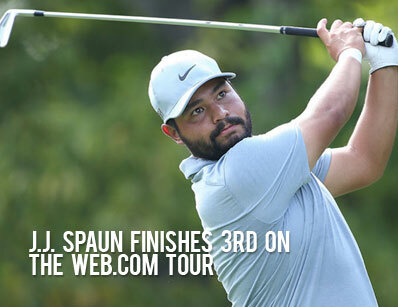 Congratulations to JJ Spaun for a solid 2016 on the Web.com tour finishing overall 3rd on the Money list! 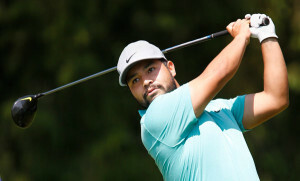 Spaun, an SDSU Alumni and student of Grant Halverson, has shown his merit as a player steadily working up the tour circuit. In 2015, he was the money winner on the Mackenzie/Canadian Tour. His 2016 year was highlighted with a win at the News Sentinel Open in Knoxville where he drained a 12 footer on the 72nd hole to win by one. Congratulations JJ and we are rooting for you to have a great rookie year! 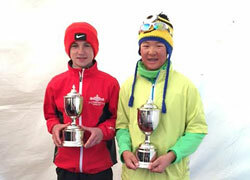 Alex Yang added another CJGA title to his resume after beating Nathan Han of Somers, NY in a playoff . 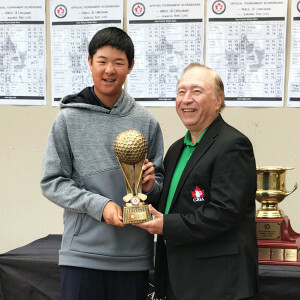 Yang who won the CJGA PING Canadian Match Play Championship earlier this year shot a final round score of 72 (+1) around the tough Innisbrook to force the playoff. The road to the title was a long one for Yang who needed to climb over nine players after his round first round. Our biggest congrats to Alex for his stellar play! Alana Uriell starts season with 5th place finish and Team Win! Alana Uriell shot rounds of 73-70-71=214 to finish 5th in her first tournament back this fall. Alana finished last season with a runner up finish in the NCAA Regional last Spring and helped her team earn a spot in the NCAA Championship. 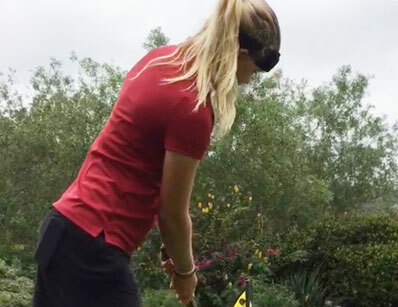 She has been a student of Jason Puterbaugh since 2009, and had a stellar high school career leading to a spot on University of Arkansas’ Women’s Golf Team. Her highlight in the summer of 2014 was making it to the semifinals of the U.S. Women’s PubLinks. We wish her the best of luck this fall in her Sophomore year! 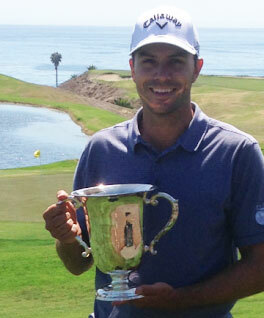 The 2015 SCPGA Match Play event took place at Sandpiper Golf Club in Santa Barbara. In the championship match, Jamie played a bogey free 3 under par round to defeat Don Littrell on the 17th hole. Congrats to Jamie and team AGA for the win! Bruce Nakamura fired a three under 69 at Fairbanks Ranch Country Club to qualify for the U.S. Senior Open. 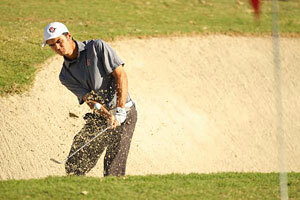 This year’s U.S. Senior Open will take place June 25-28 at Del Paso Country Club in Sacramento, California. Congratulations for qualifying for this great event for the second time and best of luck!! Gullane, Scotland- The 2015 US Kids European Championship was played this year from May 26-28 at the Gullane Golf Club. Orange County’s Alex Yang fired 70-74-75 in difficult conditions to edge out a one shot victory in the boys 12 year old division. Alex has worked with Kip on his full swing now for over 3 years, and we are extremely proud of his first experience in links golf! Way to go Alex! 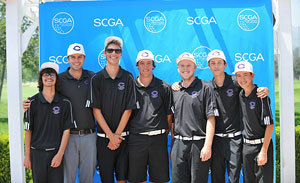 The Carlsbad Boy’s High School team captured the 2015 San Diego CIF Championship at Admiral Baker Golf Club. Their 2 round total of 9 over 729 edged out Torrey Pines High School by 4 shots. The final round included Kyle Egge shooting a 5 under par 67, leading his team to Carlsbad’s first CIF victory in 27 years. The boys team of Cullen Plousha, Ryan Sewell, Kyle Egge, Tommy Stevenson, Ian Scheble, and Alec Madison have been coached by AGA’s Jason and Jamie Puterbaugh since 2011. Our biggest congrats to our local team playing amazing golf! South Korea’s Ji-Hee Lee sunk a dramatic 24 foot putt in a sudden death playoff to capture this year’s Yokohama Tire PRGR Ladies Cup. Lee held the overnight lead going into Sunday, but needed to drain a long putt on the 72nd hole to force a playoff. This is Lee’s first win in 3 years on the JLPGA, and Kip and the AGA team couldn’t be happier for her success. 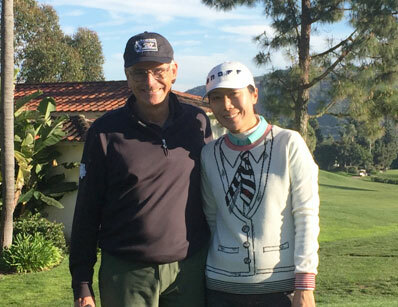 Jihee spent the month of January training with Kip at the Aviara Golf Academy and made great progress. Welcome back to the winners circle, Ji-Hee and keep up the great play! San Diego State’s Ricky DeSantis was awarded as the 2014 Mountain West Freshman of the Year. A Carlsbad High School Alum and student of Grant Halverson since 2011, Ricky’s season was highlighted by seven top-20 finishes in 11 events and a scoring average of 72.91. His consistent play also landed him honors on the All Mountain West Team. We’re all proud of you Ricky, keep up the good work! Starting his final round two strokes back, Alex rallied with a back nine 33 to win by two at the U.S. Kids World Junior Championship in Pinehurst, NC. Alex has been working with Kip since 2013, and we’re so proud to see such a hard working kid continue his good play. Way to go Alex! A 4 time AJGA Champion and student of Kip since 2008. Aliea played into the quarterfinals of the ’14 Women’s Western Am this summer. We’re wishing her the best of luck in her freshman year at UCLA! 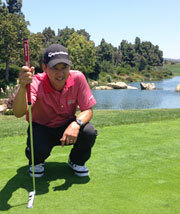 2011 Callaway Junior World Champion, and long time student of AGA’s Bruce Nakamura. This young kid carries great enthusiasm and continues to show strong finishes on the global stage, including the first round lead in the 2014 Callaway Junior World. Looking for a great gift idea for the special golfer in your life? Why not give them a personalised Gift Certificate from the Aviara Golf Academy. What You Know Can Hurt YouOur gift certificates are available for all schools and lessons. We can include a copy of Kip Puterbaugh's book "What You Know Can Hurt You" for $20, excluding shipping and tax. Call the office today - 760.438.4539 - and we will be happy to personalize a Gift Certificate Package for you.